We are a gluten-free homemade granola shop that uses brown rice flour. 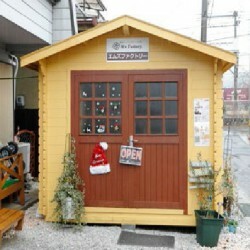 Our shop is located in Kobe city Chuo-ku, in Hanakumachou near Kenchomae. 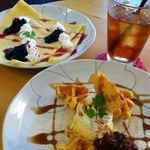 ◆Menu Granola Please refer to our web site. 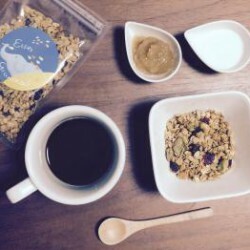 http://elphgranola.shop-pro.jp/ Original 850yen ＊ Our products are kept with wheat products, so they may not be completely allergen free. 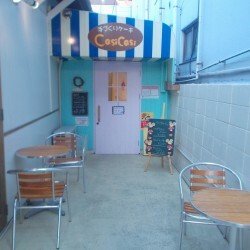 We are a western confectionery shop located by the ocean in Wakayama. We use selected ingredients to make our cakes. We also have an eat-in space. 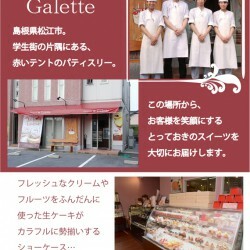 ◆Menu Cakes Baked sweets Usually our cakes are not gluten free. 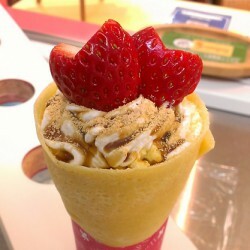 For 500yen more you can order wheat free. Whole cake decorated with fresh whipped cream 1500→2000yen Whole raw chocolate cake 1550→2050yen etc. 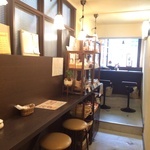 We are a private hideaway type café inside the ‘Feeling. Factory’ on the first floor of Nobeoka Kokoretta building. We use 100% Nobeoka rice flour made by organic ‘M lin’ farming and make pasta mostly and make healthy foods using bread, organic brown rice and seasonal vegetables. 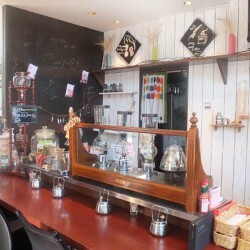 At tea time, our siphon coffee is popular. 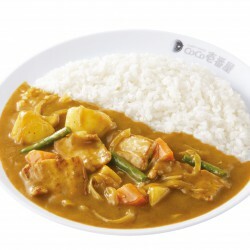 ◆Menu Pasta Cakes Curry Rice flour pasta 800-1000yen Frozen fresh noodles are only available for take-out 200yen Our shop uses wheat so our products are not completely allergen free. We specialize in our sponge cakes. 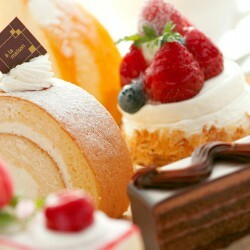 Our light and soft sponge cakes along with moist smooth cream is a good combination. It is simple and light and at the same time rich. Please try our sweets that we take pride in.